Culture your own specimens for a constant supply of Daphnia magna to feed your fish, or to study. Produce large quantities of Daphnia for experiments or as a food source, and teach students about the Daphnia life cycle at the same time. You receive everything necessary to culture Daphnia in your own lab. 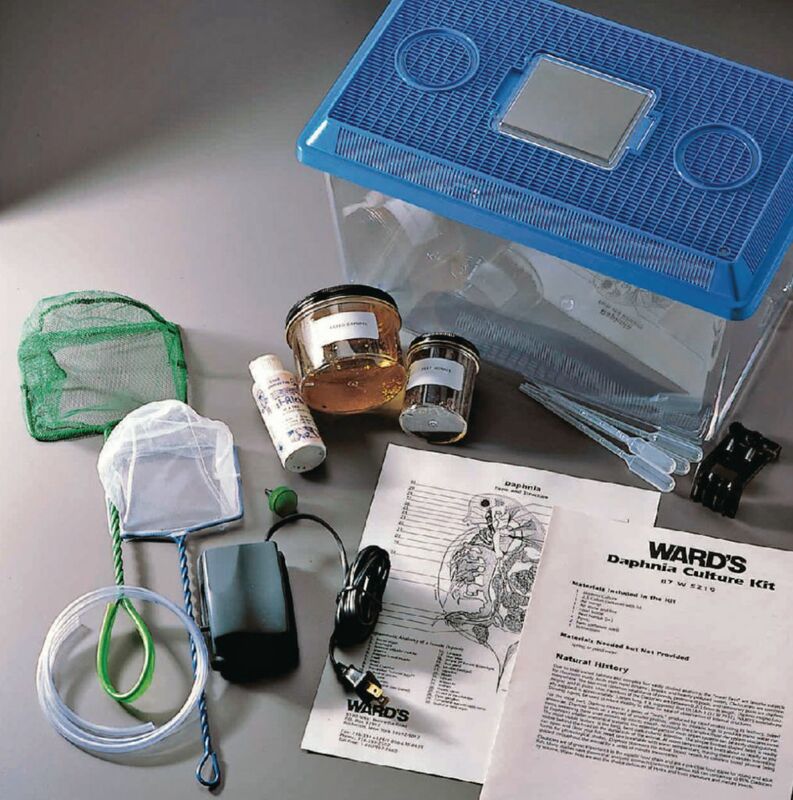 Ordering information: Kit contents include a coupon for a Daphnia starter culture, 3-gallon aquarium, air-line tubing, air stone and air valve, air pump, media, two dip nets, pipet, and instructions. Please provide a date that the live or perishable components will arrive.